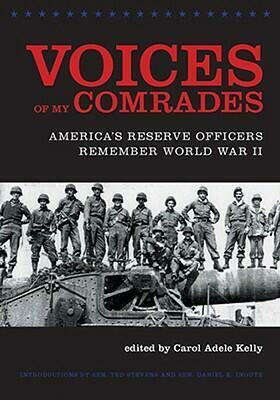 Over the course of five years, the Reserve Officers Association of the United States-the nation's oldest such professional military organization-invited its members to write about their experiences in World War II. The response was an impressive outpouring of memories, now compiled here in an extraordinary record of courage, sacrifice, and commitment. Stories from 240 veterans-representing all theaters, ranks, and services-track the years of World War II month by month. 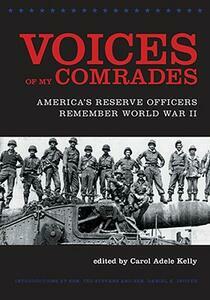 From the young ensign's letter to his fiancee, describing his escape from the USS Cassin minutes before it explodes at Pearl Harbor, to the battle-seasoned colonel's account of his flyover at the peace-treaty signing aboard the USS Missouri, the stories give a human face to the moments of war, written by men and women who intimately lived those history-making days, on bombing missions and invasion duty, on front lines and the home front. Readers will meet a survivor of the USS Reuben James, sunk by a German U-boat before December 7, 1941, and eight D-Day invaders of Normandy, including Lieutenant Colonel J. Strom Thurmond, paratrooper. They will also meet a bodyguard to General Douglas MacArthur and the nurses who healed the fallen in huts on Bataan, the hospital ship Shamrock in the Mediterranean, and field hospitals in France. Here, too, are personal accounts by Women Airforce Service Pilots (WASPs) and the battlehardened engineers of the Seabees in the Pacific. Other veterans tell of surviving the sinking of the troopship Leopoldville, when 750 Americans died in the English Channel on Christmas Eve, 1944; the horrific discovery of the Nazi extermination camps; and the tragic bombings near war's end of unmarked Japanese ships transporting U.S. POWs from the Philippines. Featuring photographs, a chronology, and historical introductions, this book-thanks to these stories by ordinary soldiers, sailors, airmen, marines, and nurses-is destined to become an enduring testimony to the American experience in World War II.